The idea of creating a beauty pageant to provide an alternative for the Caribbean coast to the already established national pageant in Nicaragua, was conceived after numerous requests were made to Mr. Gregory Lewin, President of ONENESS Entertainment the parent company of the Miss Oneness Beauty Pageant in the year 2004 when our then, Centenary Queen – Miss Anasha Campbell was competing in the national pageant. After much diligence and a short stint sitting on the Board of Directors of a beauty pageant in the United States I focused and conceptualized on what attributes/objectives and its purpose would be most befitting of our Caribbean Coast, in having such a beauty pageant that would enhance and boost the confidence and beauty of our Caribbean young ladies. Being a member of the Board of Directors also gave me that significant insight and the opportunity to pertinent information as to how to execute and approach this project. After several months of audacious and assiduous researching for worthwhile international beauty pageants in the Caribbean that would compliment our needs and objectives I found the Miss Commonwealth Beauty Pageant in Jamaica. The Miss Commonwealth Beauty Pageant was the most prestigious beauty pageant in the Caribbean. However, it only allowed for commonwealth member states to participate. Nicaragua was not a member state of the commonwealth Caribbean countries so after thoughtful correspondence it was imperative to negotiate with the organization to allow the Caribbean coast of Nicaragua to participate. The Caribbean coast is not a country and Nicaragua is not considered a Caribbean country, so it took several months to convince the organization that “we” the people on the Caribbean coast of Nicaragua are indeed from the Caribbean and most importantly that many of our grandparents and great grandparents are indeed Jamaicans. In 2005 we received the well anticipated good news from the Commonwealth organization that they would change the name of the pageant from Miss Commonwealth to that of the Miss Global International Beauty Pageant to grant other countries such as Nicaragua to participate. It was indeed a great accomplishment and a wonderful opportunity for the Caribbean coast of Nicaragua; for now “we” have a pageant we could call our own that would substantiate an alternative to the already established national pageant in the country. After such confirmation and resourcefulness we immediately commenced in our quest for potential candidates that would be the first face to represent the Caribbean coast and the “entire” Nicaragua at the Miss Global International Beauty Pageant in 2006. After months of searching for that “special Caribbean beauty”, one young lady who had that immaculate brilliance and had a beauty of face, personality and intelligence was the lovely Miss Bianca Torres Wilson a student at that time at the Bluefields Indian and Caribbean University “BICU”. 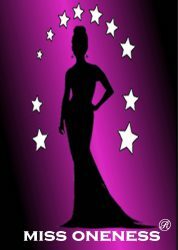 As Executive Pageant Director of the pageant company I had a very insightful conversation with Miss Torres and granted her the opportunity to officially “name” the pageant. She smiled and with such sincerity and exuberance replied, “Our pageant’s name is, Miss ONENESS Beauty Pageant”, thus our pageant was established and signifies – togetherness, unity, identity. Bianca was very instrumental and literally paved the way for all past and future delegates from the Caribbean coast of Nicaragua. The aim of creating the Miss Oneness Beauty Pageant was to promote beauty, culture and tourism on the Caribbean coast of Nicaragua. However, the pageant is open to all Nicaraguan beauties. In light of the commitment and dedication of Trinidad & Tobago working with the Miss Oneness Beauty Pageant company, We are very honored to announce that the Miss Oneness T&T was established in the twin island paradise of Trinidad & Tobago. Miss Oneness Trinidad and Tobago is managed solely by the National Franchise Director Mr. Gregory Lewin under the laws of Nicaragua. All delegates go through a screening process to determine who has the appropriate background and qualifications to represent Trinidad and Tobago.